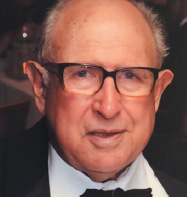 Bernard Gwertzman has spent his entire career in journalism, starting as a sportswriter for the New Rochelle Standard-Star (NY) while in high school and then moving on to the Washington (DC) Evening Star after graduating from Harvard in 1957. For the Star, Gwertzman covered local affairs and then became a specialist in Soviet affairs. He was hired by the New York Times in 1968 and sent to Moscow as its bureau chief from 1969–71, where he covered the tensions along the Soviet-Chinese borders and the first steps toward détente. In 1971, Gwertzman returned to Washington, where he worked for the next sixteen years covering American foreign policy for the Times. He traveled throughout the Middle East with Secretary of State Kissinger, where he charted the first Arab-Israeli accords leading up to the peace treaty between Egypt and Israel, brokered by President Carter in 1979. In that same period, he also wrote extensively on the first arms control accords between the United States and Russia. With the advent of President Reagan to the White House in 1981, he covered the chill in Soviet-American relations, followed by the warming of the Gorbachev-Reagan ties. On 1987, Mr. Gwertzman was invited to New York to become the deputy foreign editor of the Times, and in 1989, he became foreign editor. During his tenure as foreign editor, he directed the Times’ coverage of the Soviet empire, the Persian Gulf war, the US invasion of Panama, the first Israeli agreement with the PLO, the end of apartheid in South Africa, and the outbreak of the Bosnian war. In the six years Mr. Gwertzman was at the helm, the Times won four Pulitzer Prizes for international coverage. When the Times began its electronic division in the summer of 1995, Mr. Gwertzman shifted to new media. He was senior editor and then editor of the New York Times on the Web until he retired in 2002. He then joined the Council on Foreign Relations, where he was a fellow and a consulting editor on its website. He conducted more than one thousand interviews for the website before retiring in 2015.